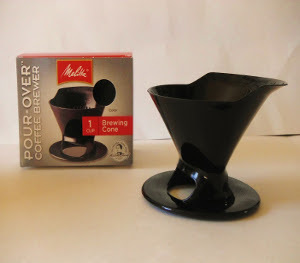 In the early 20th century, Melitta Bentz, a German housewife, forever revolutionized coffee preparation with her invention of a new coffee brewing process… the Pour-Over. Today, more than 100 years later, coffee shops and coffee aficionados across the world still consider her brewing process the best and easiest way to prepare fresh gourmet coffee. Melitta Pour-Over coffee brewers give you full control over the coffee extraction process, allowing you to brew the ultimate, hand crafted cup of coffee in just seconds. Need a mug? Try the Melitta Ready-Set-Joe with Mug.